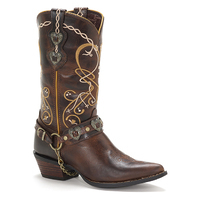 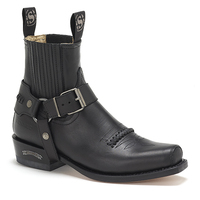 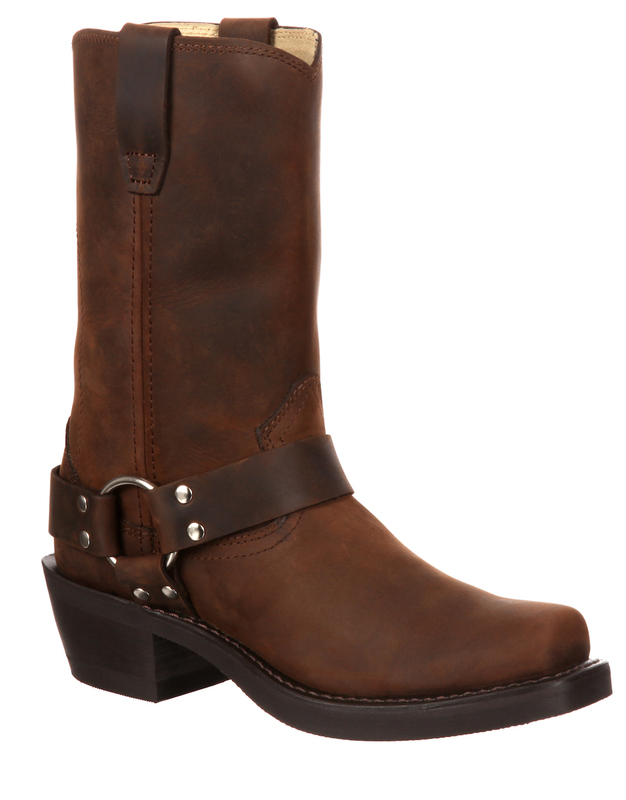 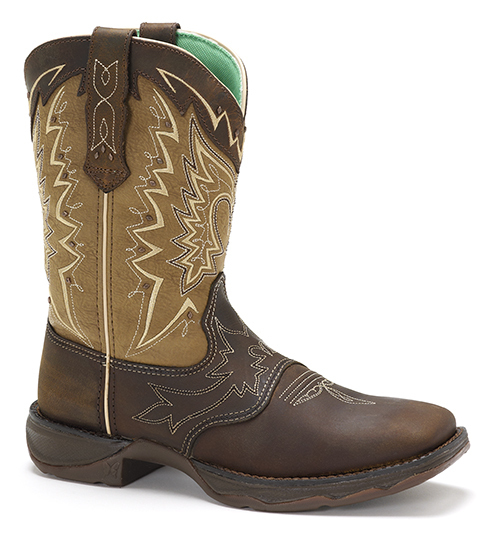 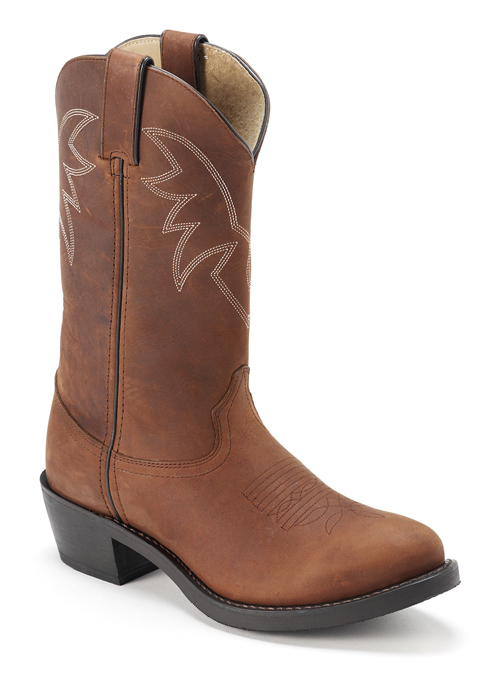 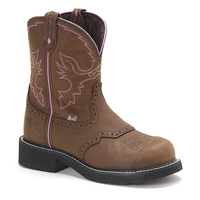 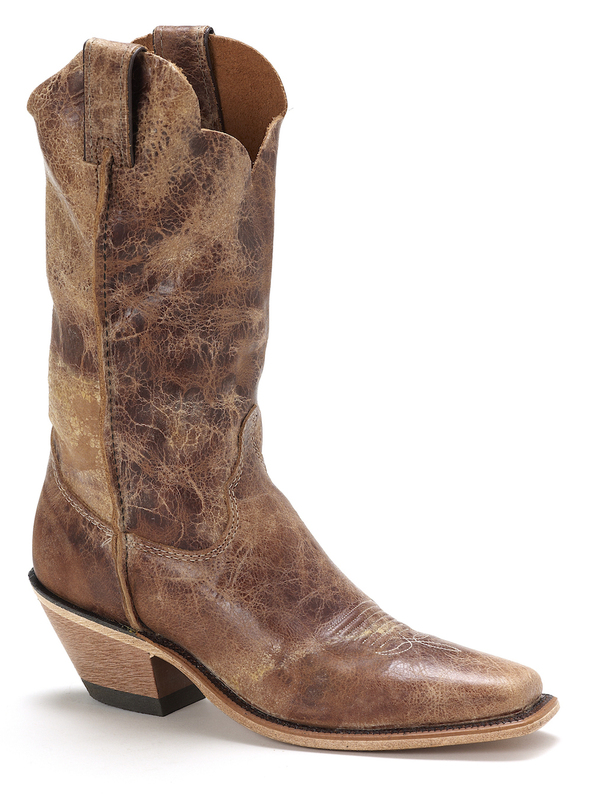 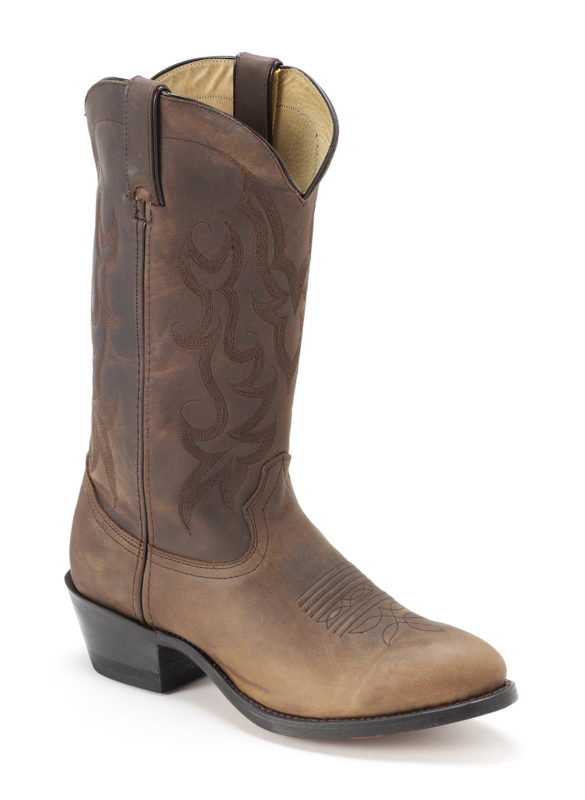 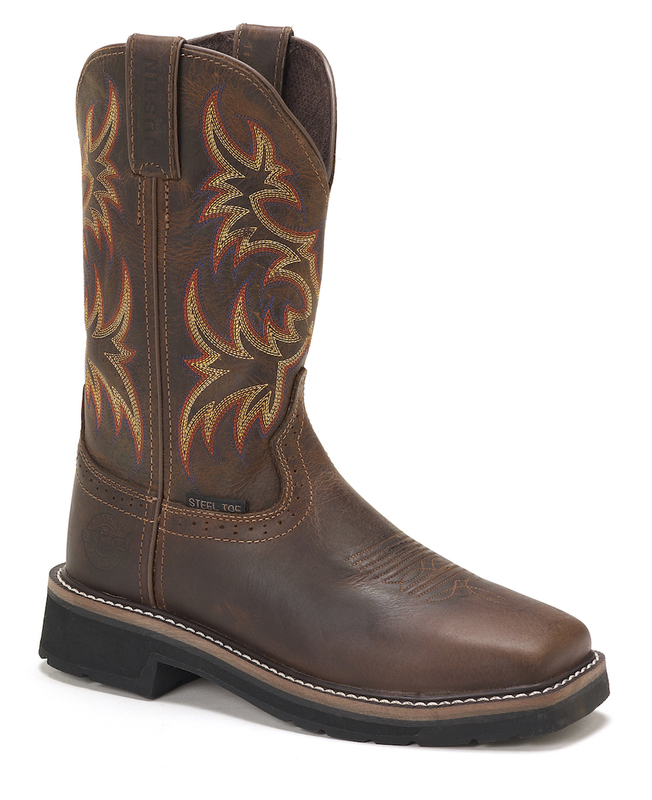 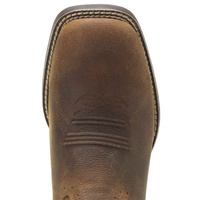 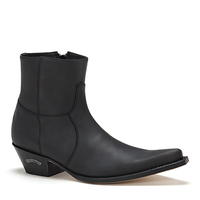 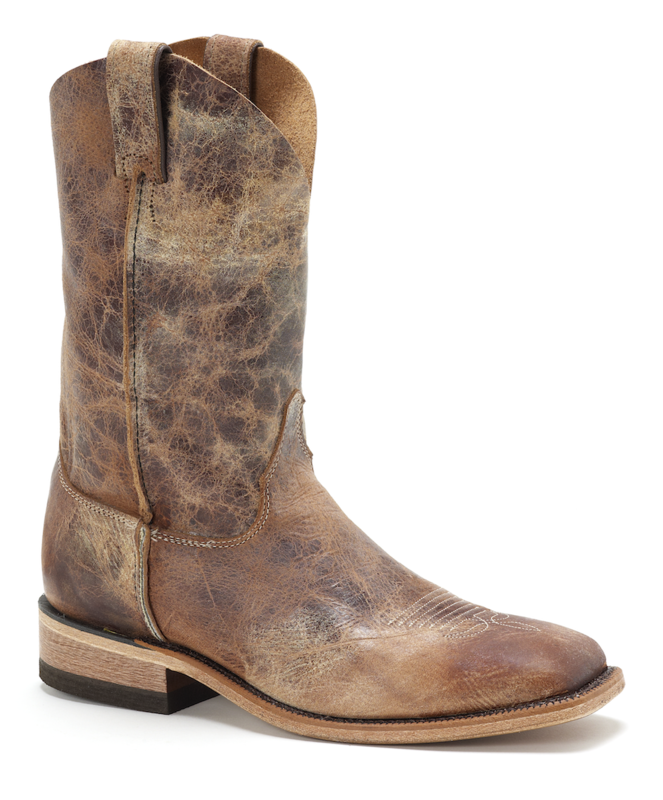 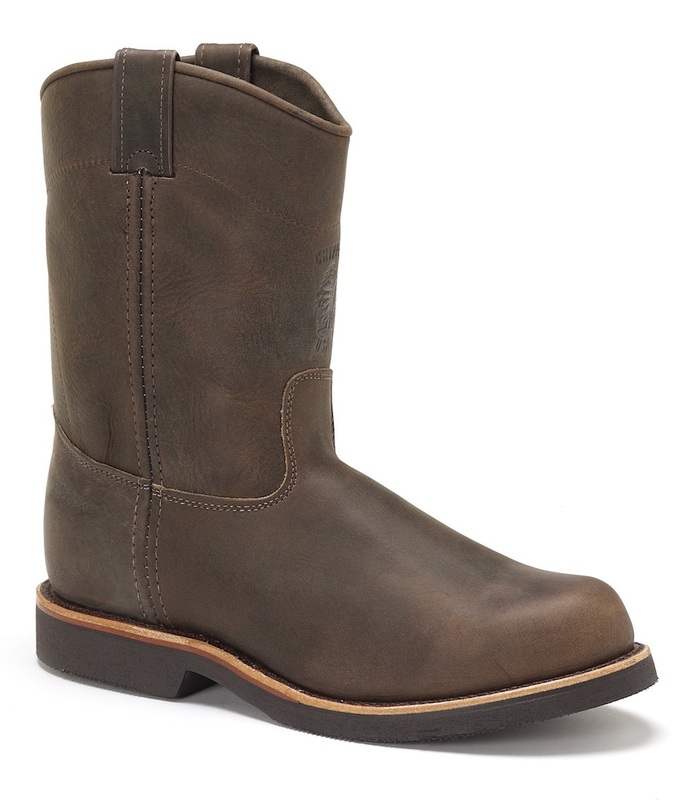 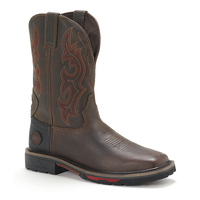 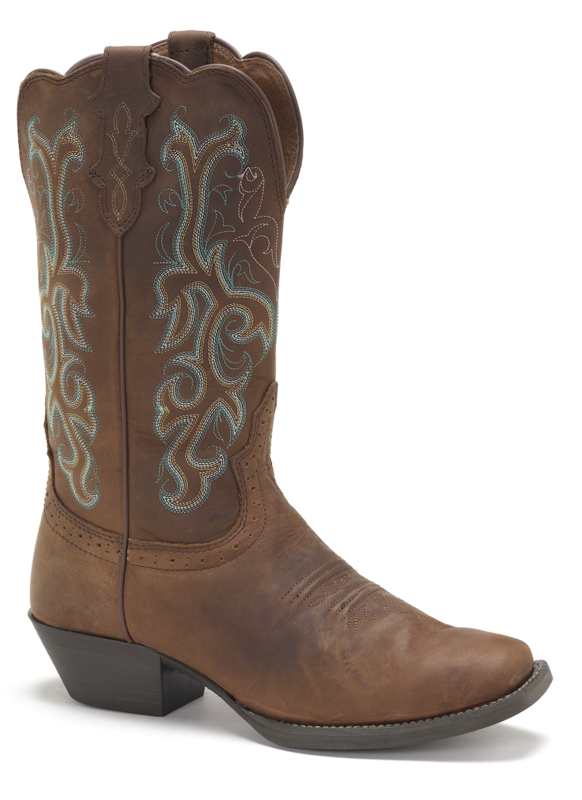 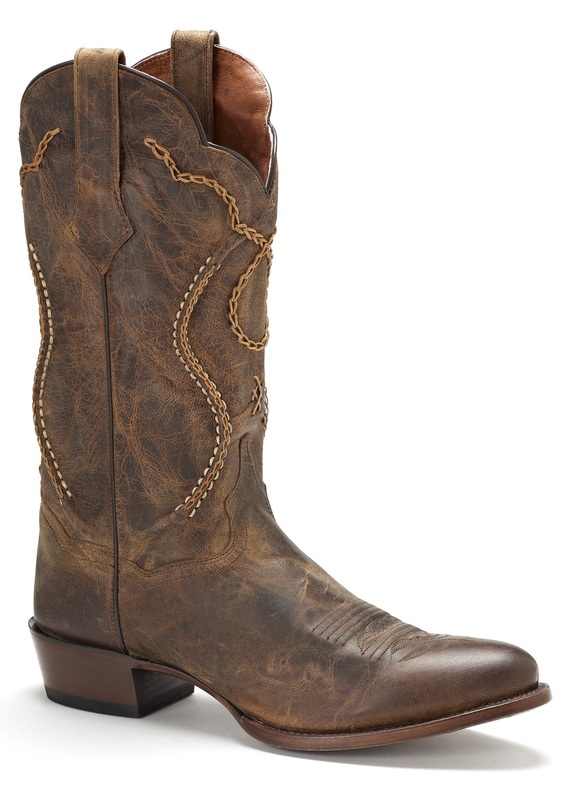 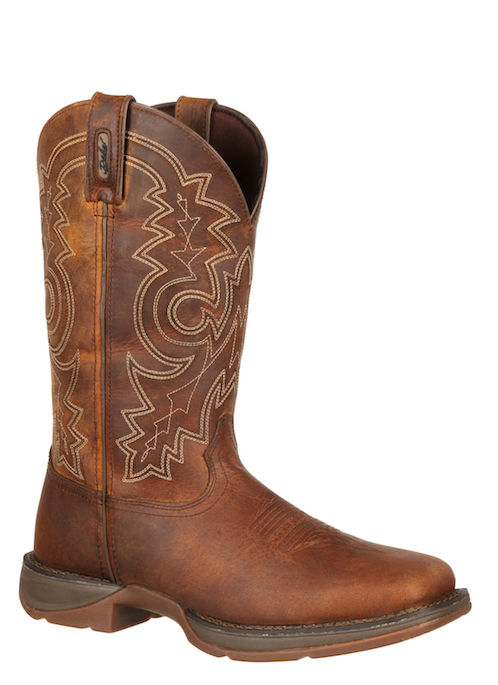 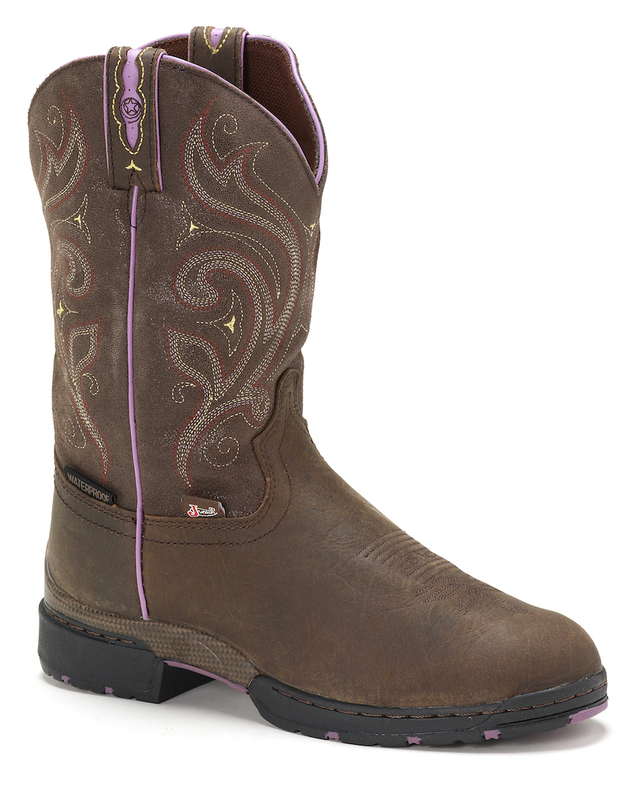 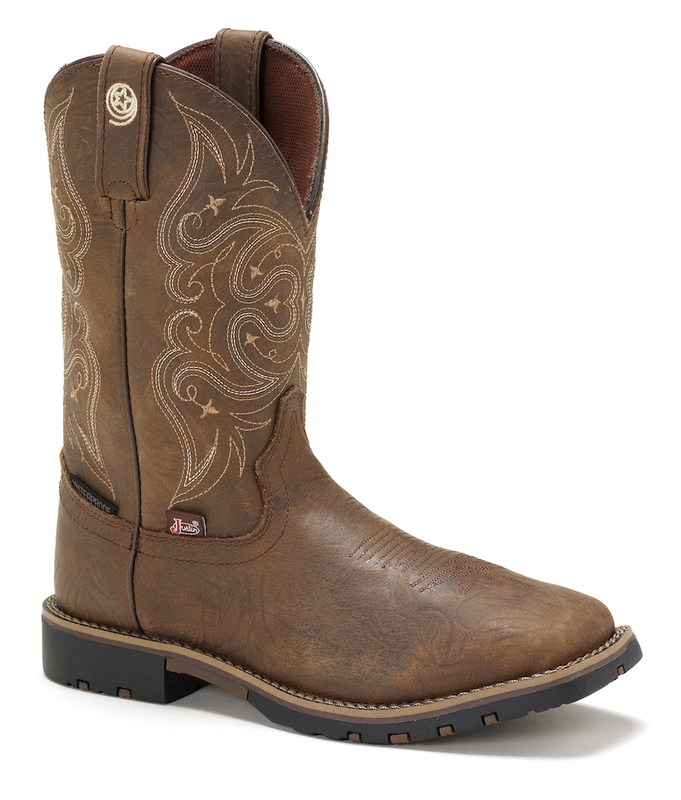 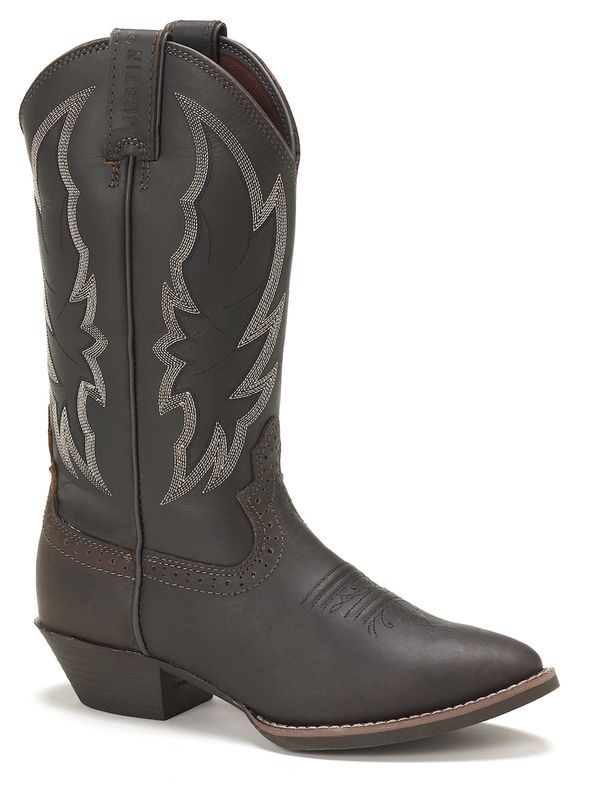 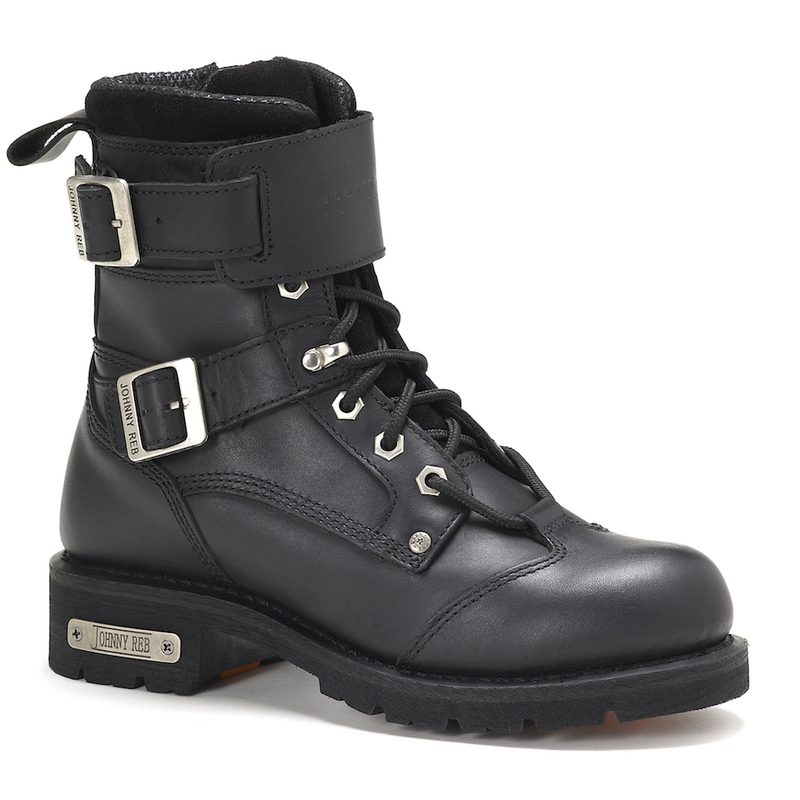 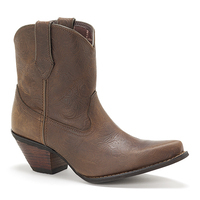 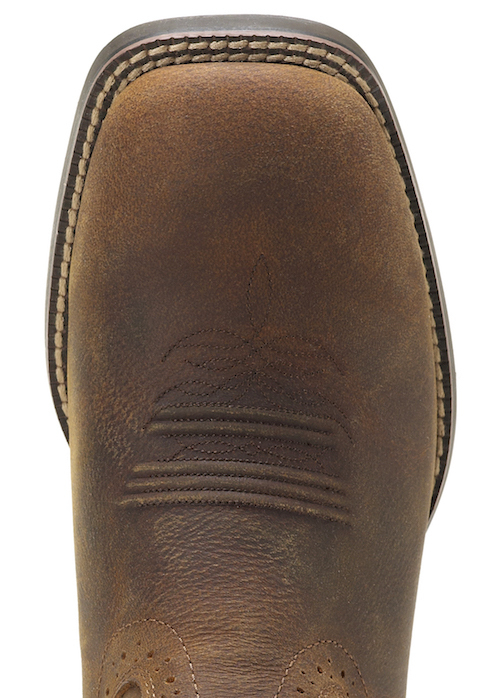 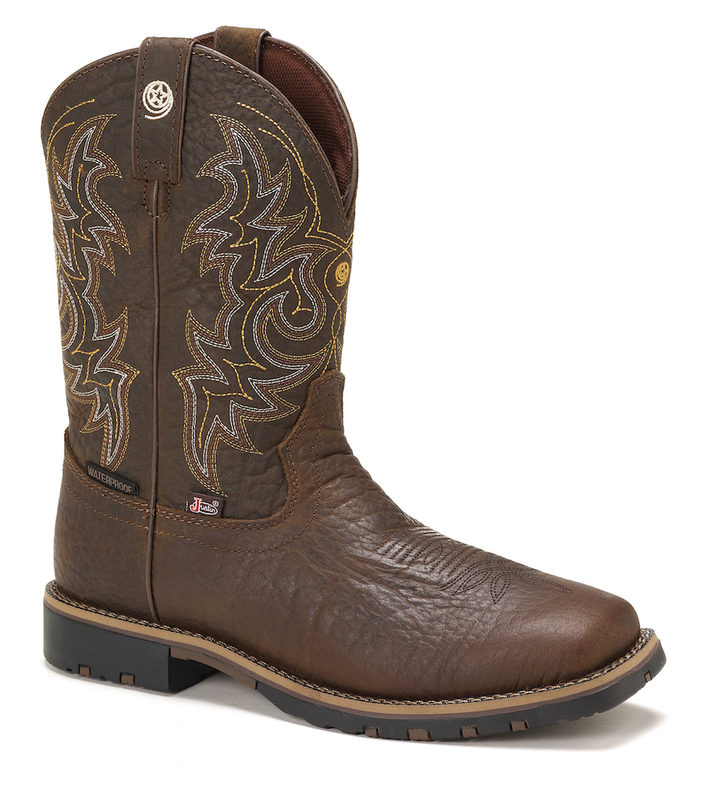 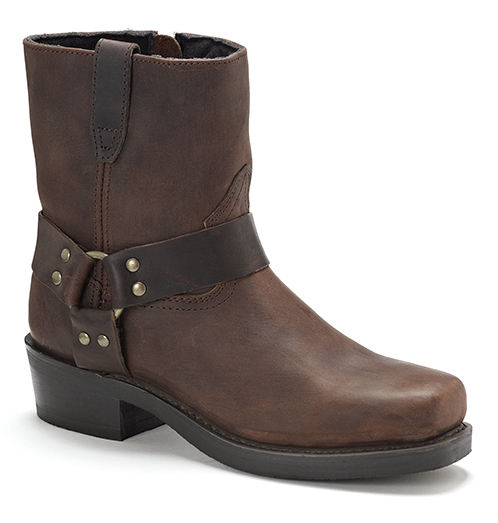 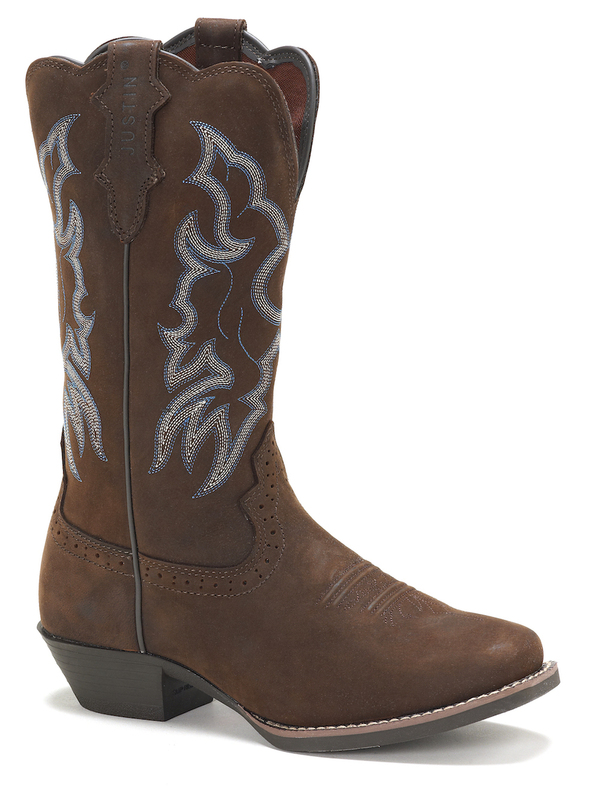 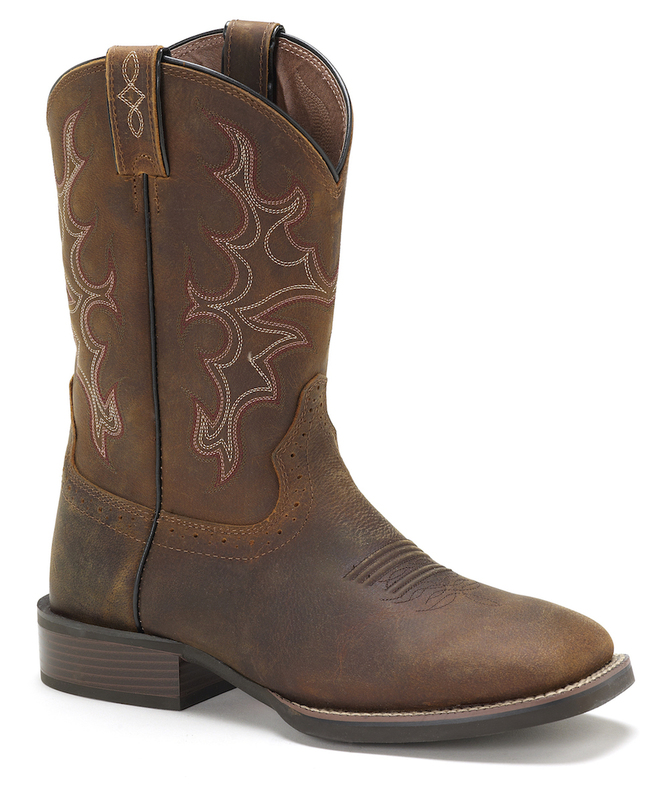 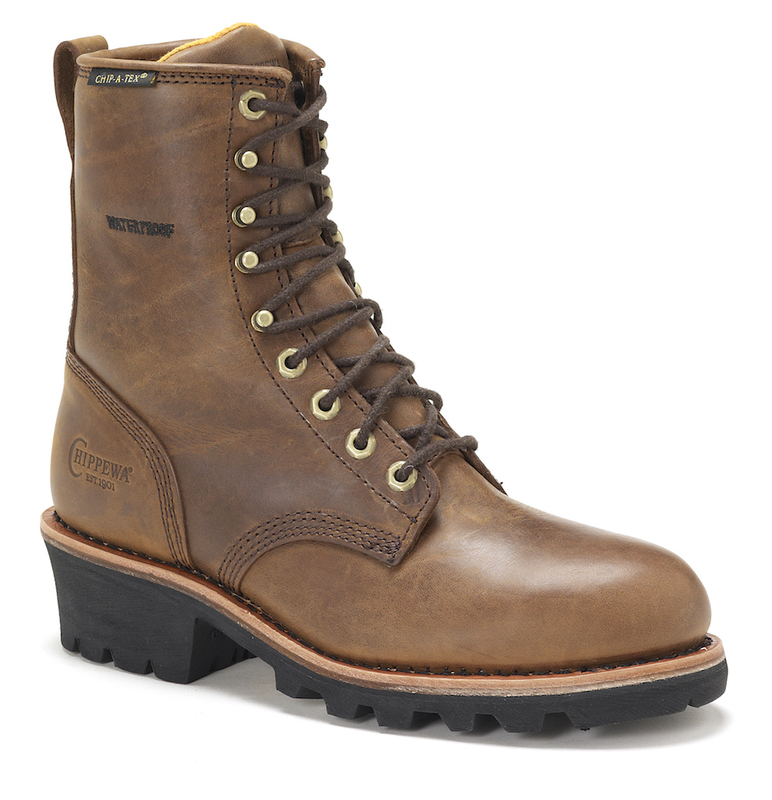 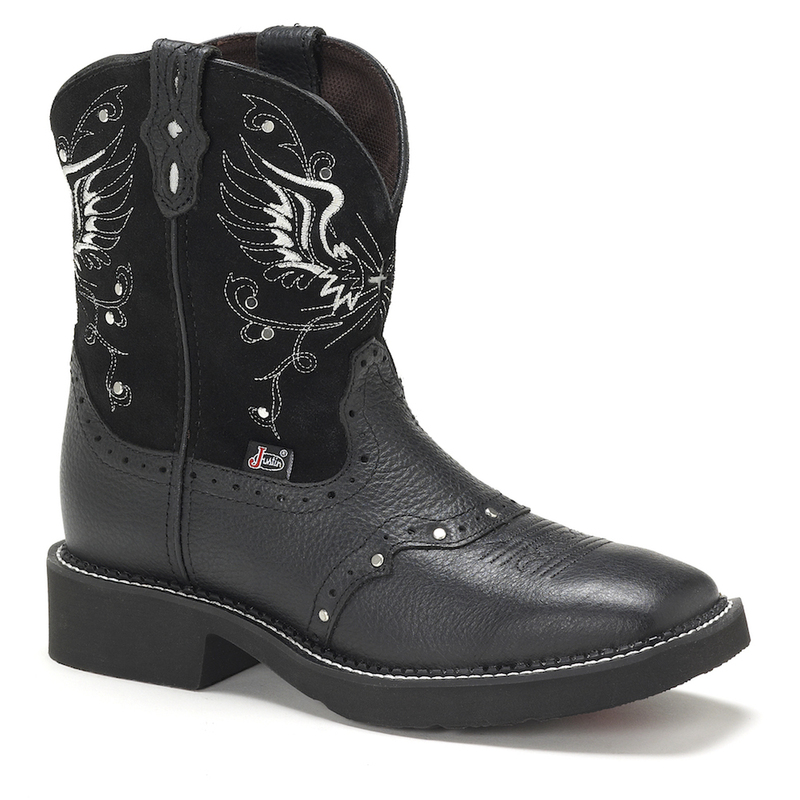 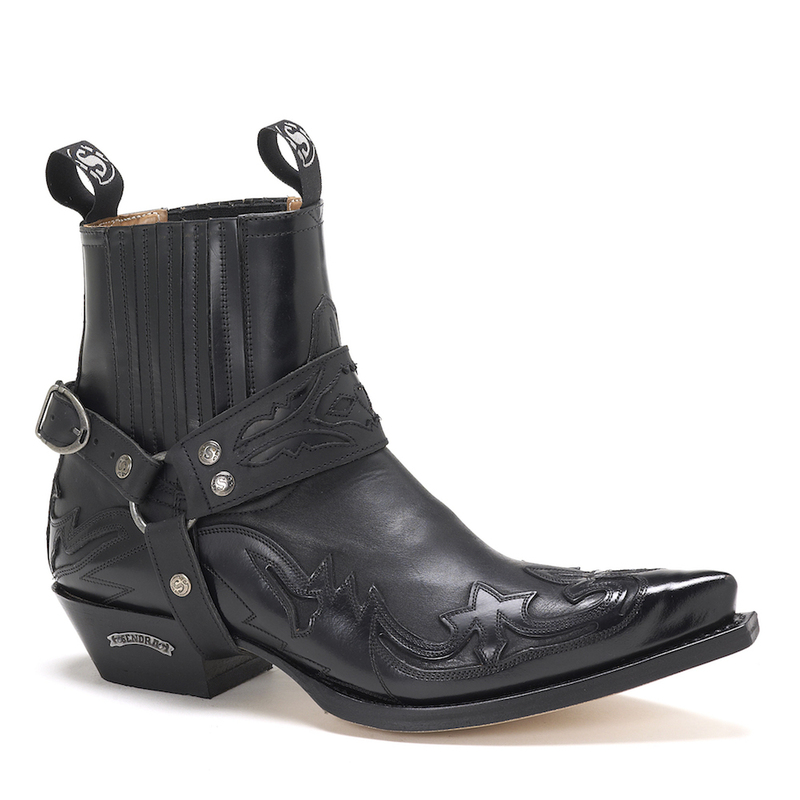 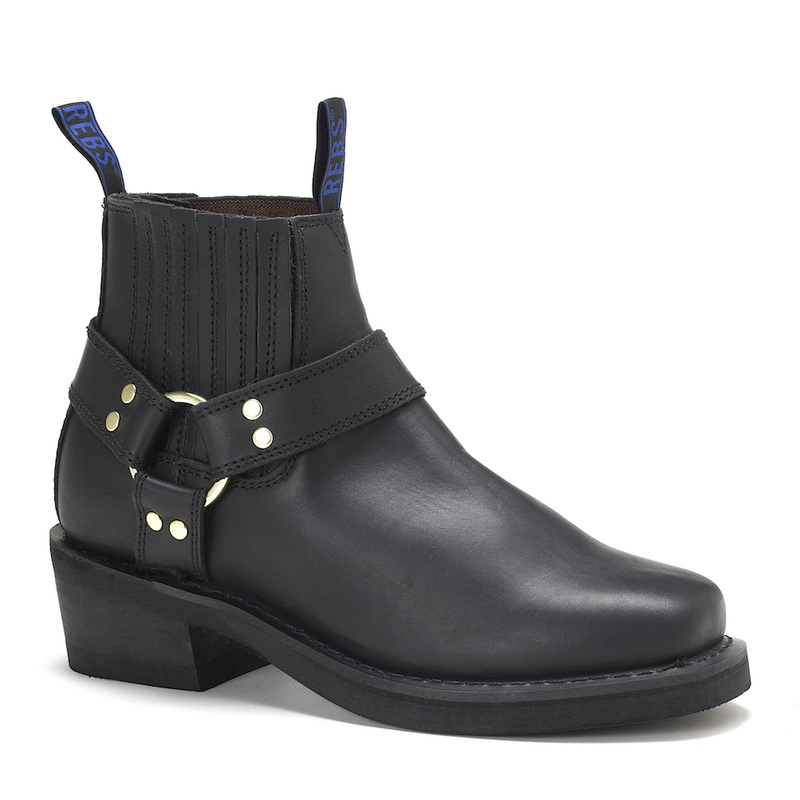 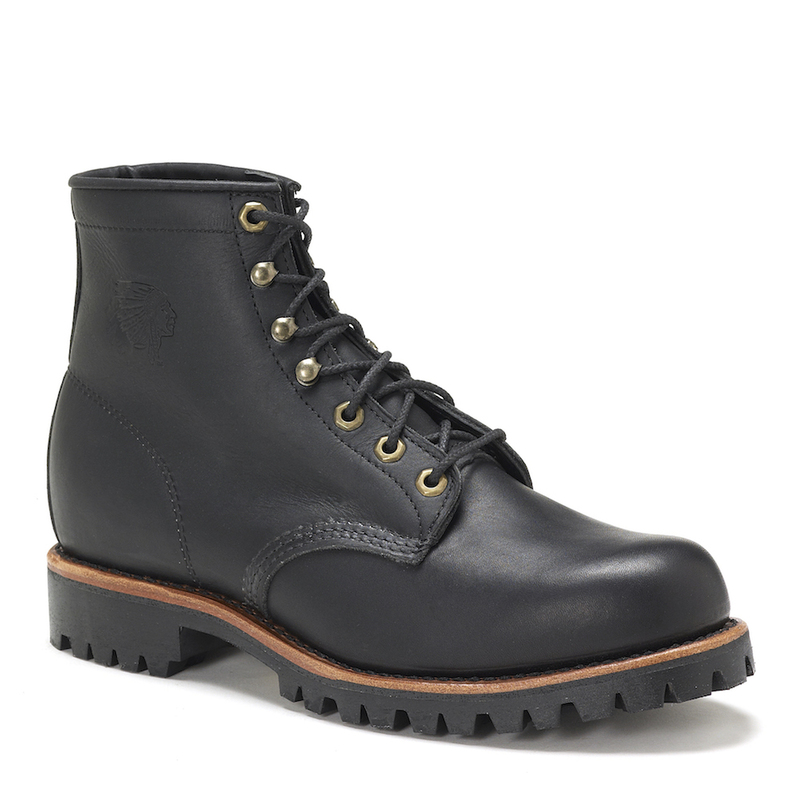 The Baytown Brown 11-inch tall Men's cowboy boot is a vintage-inspired classic. 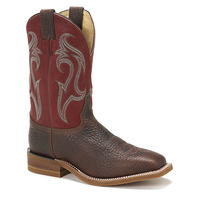 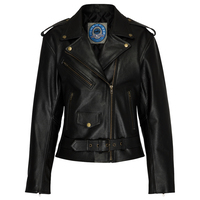 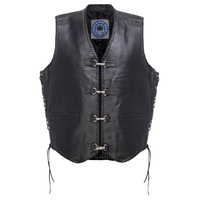 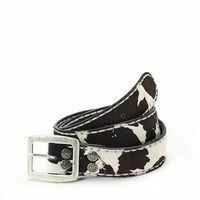 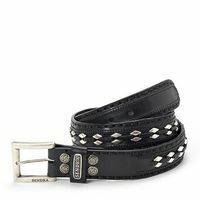 Its simple distressed dark brown leather exterior is accented by a burgundy and cream stitching along the upper. 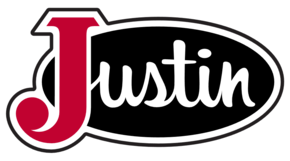 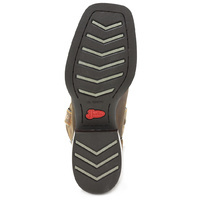 The square toe and unit heel allow for a relaxed fit in the stirrup and the J-Flex Flexible Comfort System® insoles with removable open cell polyurethane orthotic inserts provide maximum cushion and support for lasting comfort.